Safari Rangers are leading overland and fly-in tour operators to the world famous Sabi Sand Reserve, providing our very own complete safari tours to this prestigious private reserve, offering you the opportunity to really experience the untamed African bush and all it's indigenous wildlife, in style with everything laid on. 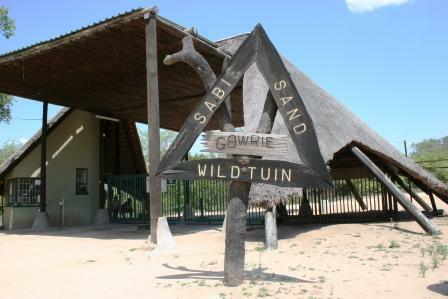 The Sabi Sand Reserve borders the western edge of the Kruger National Park. No fence exists between the Kruger Park and the Sabi Sands, so all the animals are free to roam in and out unhindered. Being directly connected to the Kruger National Park is a major advantage for game viewing and has contributed to making the Sabi Sand Reserve one of the most prestigious private wildlife reserves in South Africa. We have a lasting passion and closeness with the Sabi Sands. It is one of the most expensive reserves in South Africa to tour to but more importantly it is the 'best' private reserve for wildlife viewing; in our professional opinion. The Sabi Sand Reserve is world-renowned for it's Leopard sightings. Completely wild Leopards have become accustomed to the 4x4 Land Rovers permitting us to follow them through the bush even whilst they are hunting. 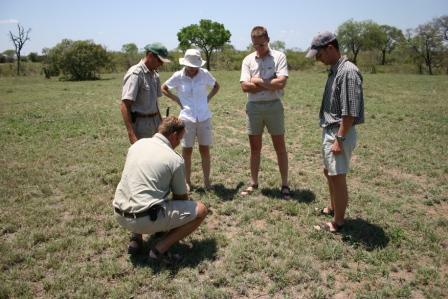 It's all 'close up' Leopard viewing - mostly only a few metres away. We operate in the wilder northern part of the reserve (North of the Sand River), which is still an affordable area of the Sabi Sands and is very much situated away from the mainstream tourist areas. One can still experience the tranquillity of the South African bush in seclusion in this area of the Sabi Sands. You will find the 'lodge' accommodation exceedingly comfortable. The service is open and friendly, giving you that homely atmosphere. All the 'off road' 4x4 game viewing drives and walking safaris are carried out by professional game rangers and local trackers, who will always indulge you with the best game viewing - it's all very traditional. Summer season (September - March) is the season during which all the animals flourish because of the rain - it's the time of plenty. Thunderstorms occur mostly at night. As a result the reserve is transformed into a green paradise. It's the time to enjoy beautiful trees and flowers. Hundreds of Impala lambs are born; staple diet of all the predators. During the summer season you must be prepared for day temperatures of 27°C with max temperatures reaching 37°C. The temperatures fall to around 20°C at night, with occasional thunderstorms. Winter season (April - August) is the dry season. Because it virtually doesn't rain in winter, the park is transformed into a brown and almost barren landscape. The animals have to concentrate at the perennial waterhole's and rivers. The grass is low, the bushes and trees have lost their leaves. As a result one can have an unobstructed view through the bush making the game viewing much easier. During the winter season, you must be prepared for temperatures dropping to 7°C at night with the odd night at zero°C. Average temperatures during the day reach a comfortable 20°C. Choosing a safari to do in South Africa. 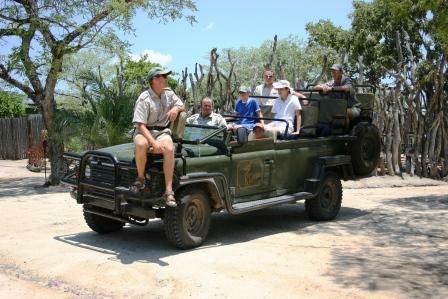 Our itineraries are very detailed providing you with a very real idea of what can or does actually occur on our safaris. We suggest you bring light neutral colour clothing on safari - no white clothes. The night game drives can be chilly even in the summer months so we recommend you bring a light warm jacket. We also recommend you bring insect repellent, sun block, sun glasses, a hat or cap, walking shoes, torch/flashlight, 7x50 binoculars, camera and plenty of film. There will be a power supply available to re-charge your camera batteries etc.